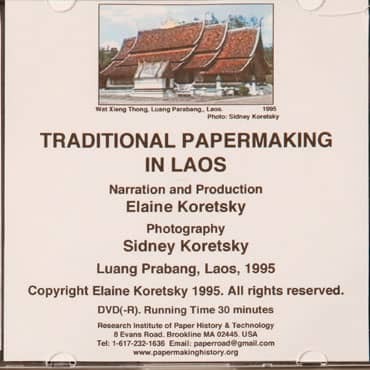 In a small village near Luang Prabang in northern Laos, Elaine located one family still making mulberry paper by hand, enabling her to document traditional Laotian papermaking. The background music is the traditional music of Laos. Running time: 28 minutes. 1995.